The Yeezus rapper admitted he's envious of Jay Z (Shawn Carter) because of his musical success as well as business ventures. "Jay Z is more realised than me. More of his dreams and aspirations have come true. You don't realise, I am so frustrated. Like, I've got so much I want to give... And I've got a million people telling me why I can't do it," he told BBC Radio 1. "I have reached the glass ceiling, as a creative person, as a celebrity... and I've been at it for 10 years. I look around and I say, 'Wait a minute. There's no one around here in that looks like me.' I shouldn't be limited to only one place of creativity." "We are the new rock stars and I'm the biggest of all of them. I'm the number one rock star on the planet," he added. 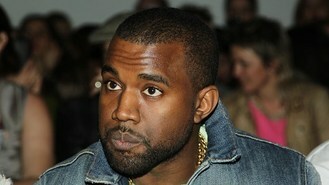 Kanye said he wants to expand himself so he can be seen as a pioneer. "I'm not trying to regurgitate myself. I showed people that I understand how to make perfect," the 36-year-old said. "My Twisted Dark Fantasy could be considered to be perfect. I know how to make perfect, but that's not what I'm here to do. I'm here to crack the pavement and make new grounds sonically... and culturally." The Chicago-born hip-hop star became a dad for the first time when girlfriend Kim Kardashian gave birth to daughter North in June. "Kim gave me everything, she gave me family, she gave me a support system. She was in a powerful enough situation where she could love me without asking me for money, which is really hard for me to find."